When it comes to picking a fresh haircut, your face shape is one of the most important factors to consider. After all, you can choose the prettiest new cut, but if it doesn’t work with your face, it isn’t going to be all you dreamed of. 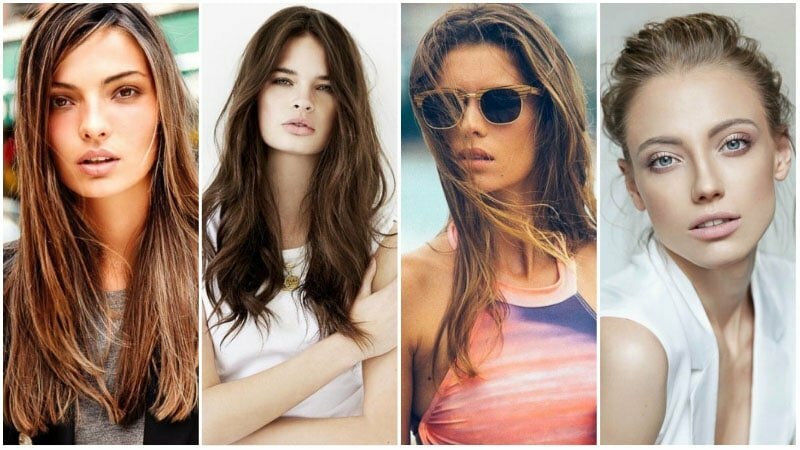 So, instead of opting for the latest trend, try selecting a style that suits your face shape instead. Whether your face is a rectangle, oval, square, circle, triangle, heart or diamond, the right cut will expertly frame and balance it while showcasing your best features for a flattering and complementary appearance. Interested? 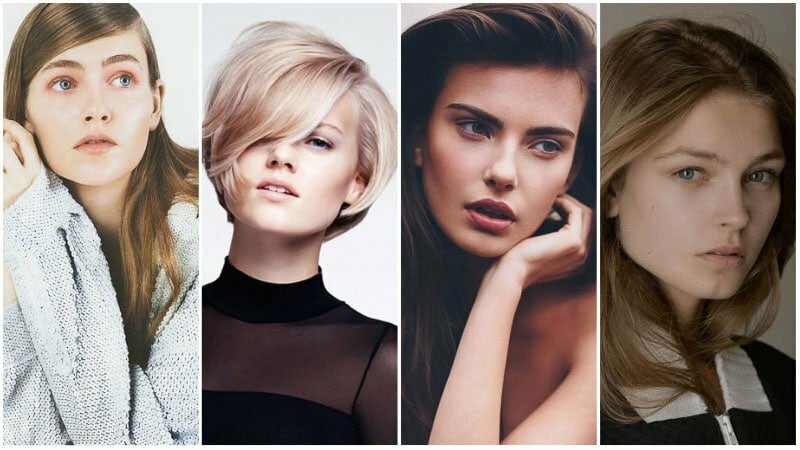 Here’s our guide to finding the best haircuts for your face shape. 1 What is My Face Shape? 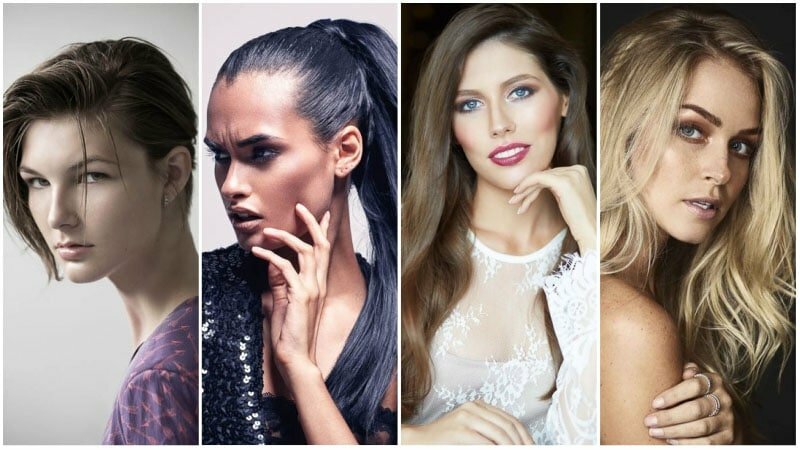 Before you can find your most flattering hairstyle, you need to identify what your face shape is. To do so, try taking a photo of yourself facing the camera with your hair tied back. Then, trace around the outside of your face and see which shape it most closely resembles. Alternatively, you can try measuring your face, focusing on the widths of your brow, cheekbones and jawline, and the length of your face from forehead to chin, to find its proportions. By doing so, you should be able to see which shape your best match is. For example, if your face is the same length and width, it is likely either square or round. Or, if your face becomes wider from the forehead to the jawline, it’s probably a triangle shape. Those with a rectangular face should work to soften the appearance of their sharp jaw and forehead without further elongating the face. A soft layered cut, for example, can enhance cheekbones while disguising the corners of the face. However, you should be careful to avoid overly long styles, which can further elongate your appearance. If you do opt for a long length, try styling your hair with a blowout, waves or curls, which will add horizontal volume and soften the sharp angles of your face. As for updos, choose soft and romantic chignons over high buns, which will add length, and sleek styles, which will emphasise your strong jaw. 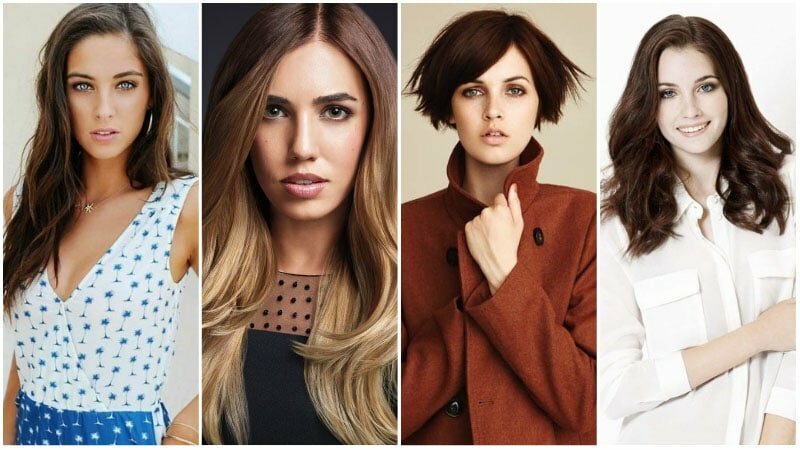 When it comes to bangs, preference soft, rounded fringes and curtain bangs over square styles and blunt-cut options. 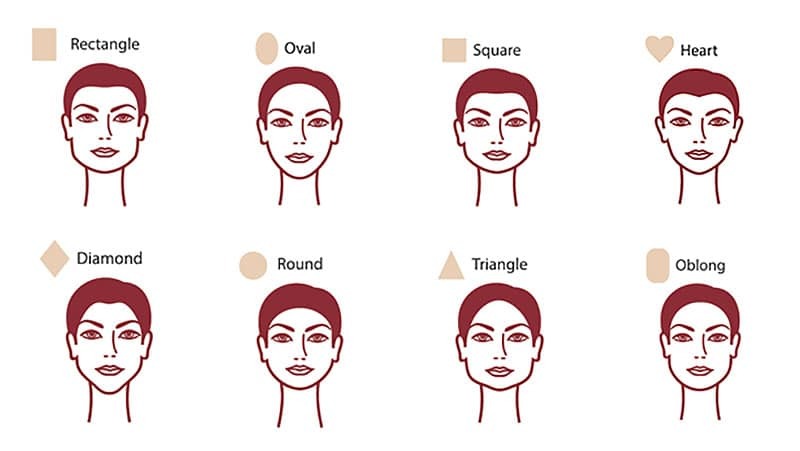 If you have an oval face shape, you should consider yourself lucky. Thanks to their well-balanced appearance, oval faces can suit a wide variety of hairstyles. However, if you’re looking for a style with impact, you should consider opting for either long locks or a cute, short crop. For oval-faced ladies who like short hair, a blunt bob or lob with subtle layers will look particularly chic. 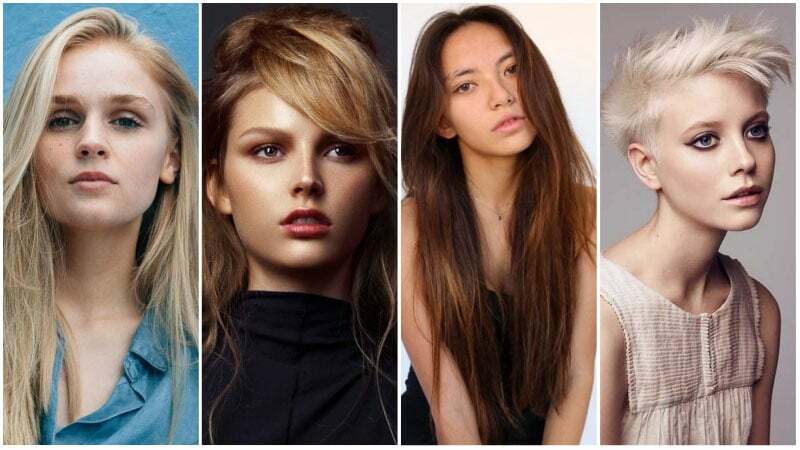 If you prefer long hair, on the other hand, opt for minimal layers or style your hair with waves or curls to keep it from dragging down your face. You can also use your natural hair part to help guide you in your hairstyle choice. A square-shaped face features a broad forehead, wide cheekbones and a strong jawline. So, if you have a square face, selecting a cut that softens these features is essential for a flattering appearance. For a look that complements your bone structure, consider a side-parted style, which will offset the squareness. Long and airy layers can also be flattering and will help to disguise the sharp angles of your face. If you like a cropped length, consider a short, layered bob. But, remember to add side-swept bangs, which will draw attention to your cheekbones instead of your jawline. If you have a heart-shaped face, your bone structure will feature a broad forehead and cheekbones with a narrow jawline and chin. As such, you should aim to balance your face shape with a cut that decreases your brow width and increases the width of the lower half of your face. For example, a long side-swept cut will disguise part of your forehead while drawing eyes down to the bottom of your face. You can also pair this cut with waves or curls starting below the ear to even out your angled jaw. Alternatively, a side-parted pixie cut with textured ends can also appear gorgeous on a heart face shape, as can a bob or lob, which will ensure fullness around your jaw. Diamond is an angular face shape that features a narrow forehead and jawline with cheekbones at the widest point of the face. For a most flattering appearance, ladies with diamond face shapes should aim to soften their sharp angles and balance their cheekbones. For a soft look, consider a mid or long layered cut worn with tousled waves and a deep side part. If you wish to widen the appearance of your jaw, on the other hand, a chin-length bob will work best. Also, don’t forget to try a pulled back ponytail for a look that will show off your cheekbones while also widening the appearance of your forehead. Round face shapes typically feature a similar length and width as well as prominent, rounded cheeks. Therefore, the most flattering hairstyles for ladies with round faces are those that add definition and shape. In particular, long layered cuts and choppy pixie cuts tend to look best. If opting for a layered cut, choose long, staggered layers that start around the jawline. You may also want to add a short side fringe that finishes at the eye to help lengthen your face. If you’re wondering what to avoid, steer clear of bobs and single-length cuts along with short layers, which can balloon around your face, and full curls, which can also enhance the appearance of roundness. 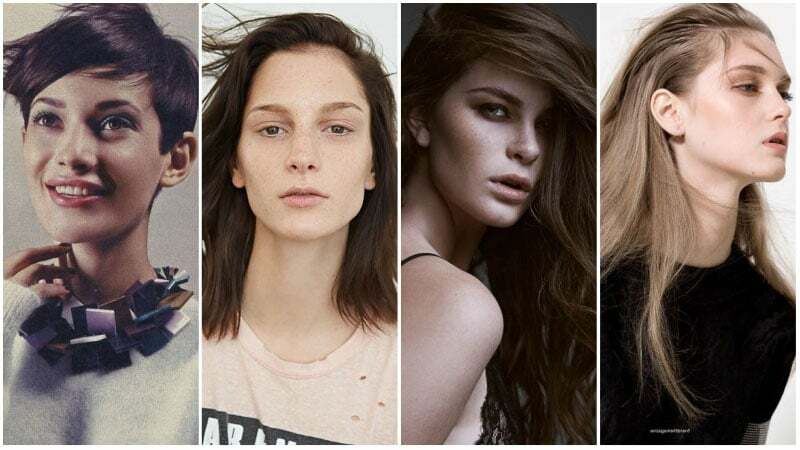 Triangle face shapes feature a strong jawline that is wider than the forehead and a chin that is square or flat in shape. As such, for ladies with a triangle face, it’s essential to pick a hairstyle that will balance out the jaw and minimise the bottom-heavy appearance of the face. To do so, try opting for a cut with layers, which will soften your features. However, be sure to ask that they finish around the eyes and cheekbones or collarbone, as those that end at the chin will draw attention to your jaw. Likewise, avoid straight bob cuts that also emphasise your jaw. If you do prefer a short haircut, opt for a choppy pixie cut instead. When it comes to bangs, short side-swept or light and wispy styles tend to look best while full bangs and long side bangs should be avoided.